Hipster Guest House i Plovdiv, Bulgaria: Bestill nå! Hipster Guest House is situated in Plovdiv at the colorful streets of the Trap. A bus station is 300 meters from us, the train station is 1, 5 km from the house.Plovdiv is famous with its seven hills. Now they are not seven, but you still can enjoy some of them. 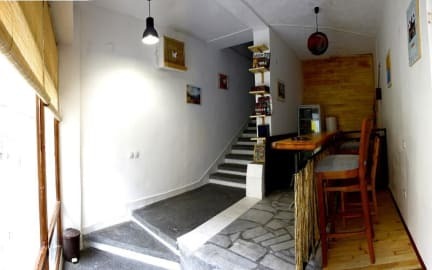 200 meters from the pedestrian central street and 5 minutes from Old Town.The Antic Theater Plovdiv is 10 minutes by walking from the Guest rooms.Guest house Hipster offers four rooms with different spirit. 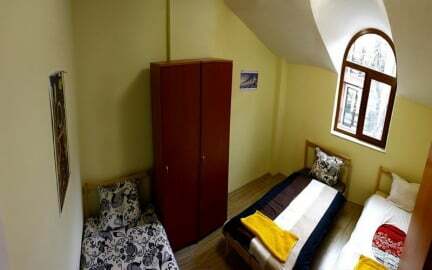 Guest house Hipster offers four rooms with different spirit and facilities.Two of the rooms are triple, and the others are double with balconies.One of the double rooms is with kitchen and fridge.From the balcony we have panoramic view of the city and you can see the mini streets of the Trap.All rooms are with shared bathrooms. Hipster Guest House Policies and Conditions. Cancellation policy: 48 hours before arrival. This property may pre-authorize your card details before arrival. The reception is working from 9 am till 22 pm.